Op-Ed: The Elephant in the EV Room, Part III: In the Battle to Mitigate Global Warming, What's EVs' Role? 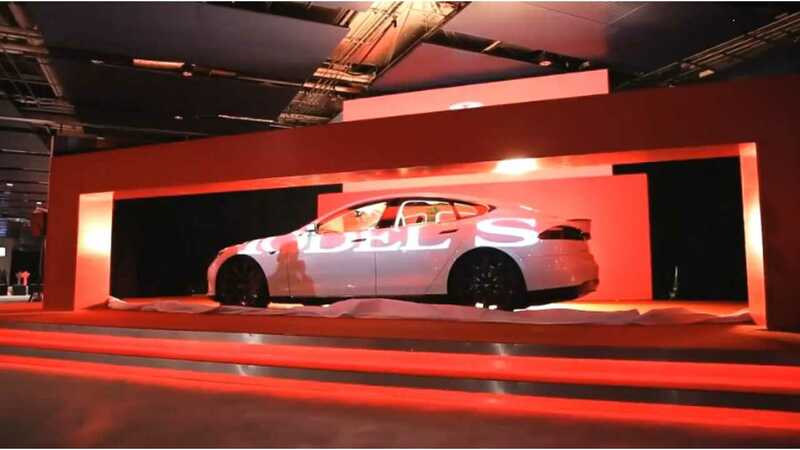 What Is The EV's Role In Global Warming Mitigation? After a 2-month hiatus, I finally complete this 3-part series. Meanwhile, thanks to George Bower for holding the global-warming fort here (and thanks the editors for continuing to provide a podium!). My Part I reminded that the current EV revolution owes much of its existence to global warming awareness. Part II waded a bit through global warming science. Here, I will examine EVs' actual role in global-warming mitigation.  This post itself is divided into 3 parts: narrow, broader and global. Since EVs offer to directly displace ICE vehicles, it seems all we need is to calculate their per-vehicle "Carbon Footprint": EVs' average greenhouse-gas emissions - from production, via daily usage and maintenance, to decommission - compared with the ICE footprint. Indeed, per-vehicle life-cycle-analysis (LCA) has devoured the most attention in environmental discussions of EVs. I think this focus is misplaced, as will be explained later. I've already paid my dues to LCA. Here's a two-sentence summary: EVs' lifetime footprint varies widely depending on the EV, local electricity mix and driving patterns. On average, EVs are now equivalent to, or somewhat better than, comparable ICE hybrids - but as grids become cleaner, and EV production more streamlined, the advantage is expected to grow. Still, on a per-vehicle basis one could argue that for the coming 20 years or so, making the ICE fleet more energy-efficient offers a better CO2-reduction bang for the buck than promoting EVs. In the narrow sense, they are right. But they are missing the forest for the trees. Before we come to the forest, I need to get a little preachy with you. Please bear with me. EVs are criticized by many environmentalists as a trick to perpetuate the American cultural notion that every person of driving age should have a car, and everyone should drive everywhere - while providing this notion a "clean" stamp of approval. We must admit: large-scale Single-Occupancy-Vehicle (SOV) commuting is unsustainable from pretty much every angle. Large urban areas cannot withstand everyone driving into downtown every workday morning, each in their own big private box. 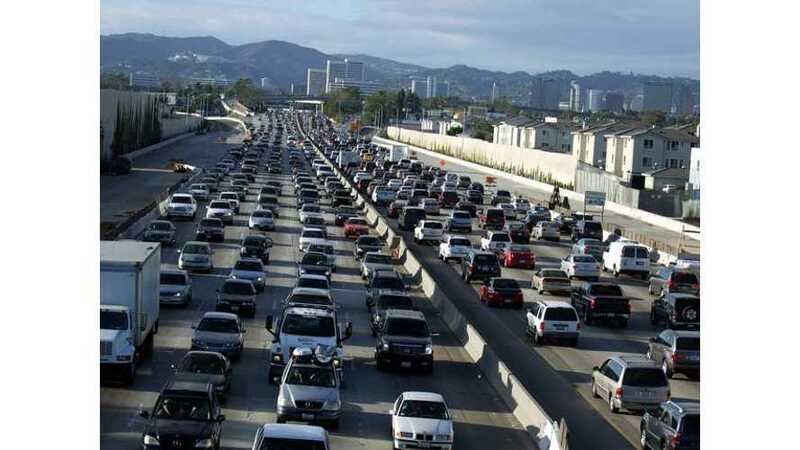 Moreover, if everyone SOV-commuted like Americans, we'd already been doomed just from a CO2 perspective. SOV-commute must become the exception rather than the rule. Even with a pure-EV fleet, massive SOV commute translates to a lot of redundant electricity consumption. It is estimated that an average US household that does all of its driving on EVs, adds some 20-30% to its overall electricity consumption. As home energy efficiency improves, if driving habits don't improve as well our EVs will take a larger and larger chunk of electric demand, which both doesn't make much sense, and is physically hard to sustain. True, recent progress on greening the electricity grids has been very encouraging. But getting from near-zero renewables to ~50%, is much easier than closing in on 100% renewables; that will be a truly Herculean challenge. It might become impossible, if everyone continues to SOV-commute. Yet, we must keep in mind that in principle, EV technology itself is agnostic to "private car vs. transit". We seek to replace ICE in all vehicles not just private ones. This year, China's BYD and other pioneering e-transit companies are slated to put thousands of e-transit vehicles on busy city routes. Electrifying the public transit fleet has a huge impact - on CO2 emissions, on urban air quality and on firsthand public exposure to EVs. That said, had we put all our EV eggs in the bus basket, we'd be stuck right now in most of the Western world with transit agencies crippled by repeated rounds of cuts, and certainly not able to buy fleets of shiny new eBuses. Even here in Seattle - one of the most "Greenie-Leftie" cities on the continent, whose economy is doing pretty well - there are now transit cuts, not expansions, despite soaring ridership demand. I can only imagine what happens elsewhere. At the same time, Seattle boasts a booming private EV market. It's good that both progress options for EVs are open simultaneously. Back to the grid: while there's reason to worry about EVs becoming the biggest electricity hogs, EVs also stand to play a positive role in the grid. As described in numerous insideevs stories, vehicle-to-grid leverages EV batteries for short-term electricity storage, from the midday solar production peak to the evening consumption peak. Balancing electricity load can help a renewable-dominated grid work with substantially less installed capacity, and retire fossil-fuel plants earlier. How much of global fossil-fuel reserves are we allowed to burn before passing the point of no return in terms of civilizational destruction and even our extinction? The very fact this question is being asked nowadays, indicates how far we've come, in terms of recognizing the severity of the problem - and also in terms our willingness and ability to confront it. As recently as 7-10 years ago, it was widely considered impossible to maintain anything like the current Western standard of living, without near-exclusive reliance on fossil fuels. Except for the visionary few, for most of us the civilizational disruption due to abandonment of fossil fuels was perceived as so massive, that a little voice in our heads kept saying "Well, it's going to be a nightmare either way. Might as well do the limited, gradual changes we can, and wait for what comes." Since then, wind and distributed-solar have roared into the mainstream. At the same time, the costs (economical, political, etc.) of fossil-fuel extraction have continued to soar, and society has become less and less willing to pay them. As a result, we are witnessing the fall of the first of the 3 fossil-fuel giants: coal is dying before our eyes. Yes, it still supplies about 1/3 of US electricity, and a larger share in many other countries. But the trend is crystal-clear: it's been a while since anyone had built a new coal plant in the US, and dozens are being closed every year, at a younger age than previously. They are replaced by renewables and natural gas. Big Coal's big hope, China, is now also making a sharp turn towards renewables. Over the past couple of years China has led the world in solar installations, besides producing most of the world's rooftop solar. The most populated regions in China have put in measures to reduce coal consumption, and nationwide consumption - which has approached half of global coal demand - is already flattening out. Rather soon, investing in coal mines to satisfy Asian demand will become a dead-end prospect, just like it already is in the West. This means that we should be able to leave the vast majority of global coal reserves in the ground. In particular, most of US coal reserves - estimated to be the largest in the world - are now likely to be remain untouched, Big Coal's flailing attempts to ship them to China notwithstanding. 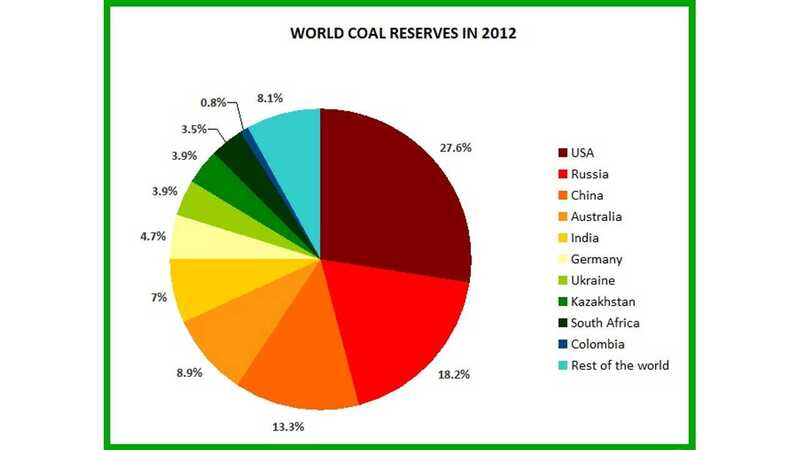 World coal reserves by country. Source: eniscuola.net. Which brings me back to that ominous question. How much of fossil fuel reserves can we afford to burn? NASA's James Hansen and colleagues did the math, of what would happen if we allow ourselves to burn through all known fossil-fuel reserves. It's not pretty: CO2 will shoot up to thousands of ppm, and the Earth will become uninhabitable to most current species, humans included. Of course, it would take much less than burning all reserves, in order to finish off advanced civilization. In short: we really must do all we can, to keep most of it in the ground. In other words, envision a functioning civilization with only a tiny fraction of our current fossil-fuel extraction rate. "Fig. 7a from Hansen et al. 2013 (the article linked above). 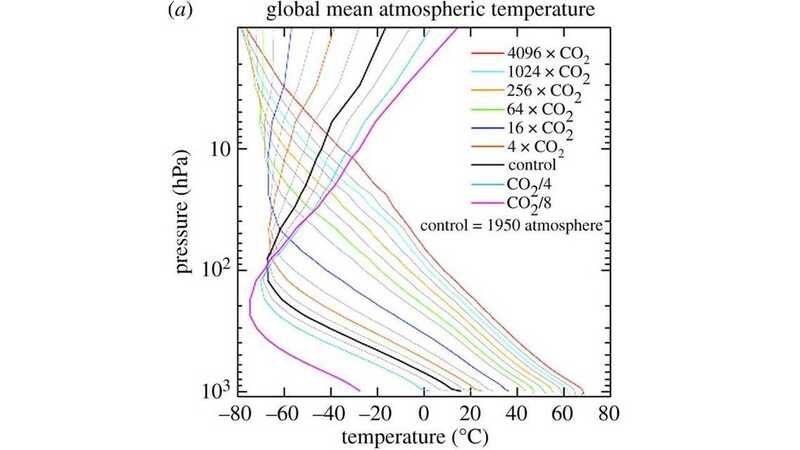 It shows the predicted mean temperature (x-axis) as a function of altitude (y-axis, using pressure as a proxy) and doubling or halving of CO2. Burning all fossil fuels is estimated to bring about at least an 8x increase, leading to mean surface temperatures of over 30 degrees Celsius, compared with about 14 degrees right now." One down, two to go: Coal going down, Oil next. Ground transportation accounts for roughly half of global oil consumption. True, replacing all ICE ground transport with non-ICE vehicles - probably mostly EVs - can take many many decades. But just like with Big Coal, market victory over Big Oil can come much, much earlier, and this will grind "unconventional" oil exploration (think Tar Sands) to a halt. Given the severity of global warming, and the critical need to keep fossil fuels in the ground, isn't it unrealistic to value the company's remaining reserves at full market price? What if they get stranded rather than extracted? And what steps are you taking to adapt the company to these changes? Exxon-Mobil leadership was caught between a rock and a hard place. To continue its warming-denial facade would signal to shareholders an unacceptable degree of incompetence. OTOH, to fully accept the most logical path forward on global warming - i.e., Keep It In The Ground - means making drastic changes to Exxon-Mobil's current business model. So they opted for triangulation. They accepted the science, then conjured a word-salad that meant at bottom line, they see oil economics continuing business-as-usual, with global demand still modestly increasing over the coming 20-30 years or so - long after the current leadership will have all conveniently retired... Why not a flat line or a slight decrease? After all, the current rate of increase in oil consumption is already very modest? Why don't they allow for the possibility of a decrease? I think it's because even such relatively minor future changes are devastating to Big Oil's business outlook. Now, can you envision, in the not-so-distant future, an ordinary pragmatic person pretty much anywhere in the world saying "Hell, I've had it with gas. I'm getting an EV" - and being able to easily find an EV that suits her needs and budget? I sure can. Can you imagine what this reality will do to the entire oil economy? To the ability of Big Oil to drill/strip/frack any piece of the Earth it sets its eyes upon? To its power to corrupt governments and destroy countries around the world? To the value of its reserves? Here's how Little Yours Truly has chosen to participate in this battle. Our current family policy is to lease a new BEV every 2 years, while returning the previous one (we just did our first exchange this month). In terms of per-vehicle CO2 accounting (i.e., the "Narrow View" described above), this policy increases our household footprint. We "cannot escape" the consequences of having someone produce a new BEV for us every two years - a rate of consumption we've never maintained before. I am not escaping the consequences. I am embracing them. I am deliberately sacrificing a CO2 pawn, if you will - in order to help speed up the auto market's transition away from ICE, and eventually deal Big Oil a checkmate. Here's a historical analogy. 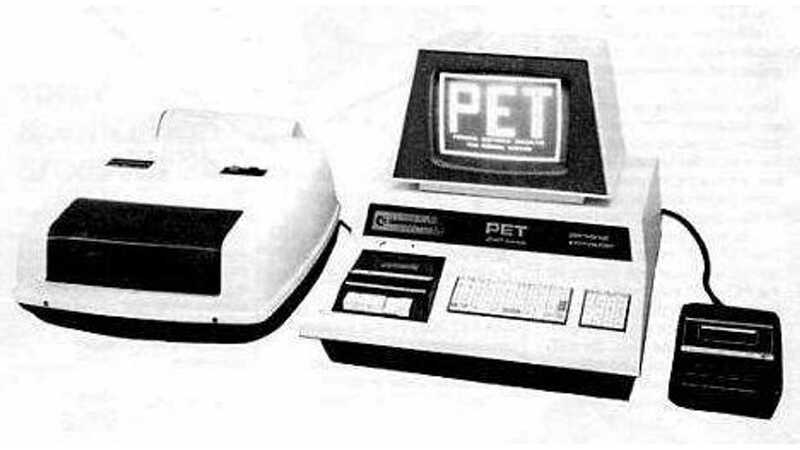 In the 1970s PCs were rare, unwieldy creatures meant for hobbyists only. But they had word processors, so if you also bought a printer - and those too were pretty expensive and terrible in the 70s - you could use the pair to displace that reliable default: the typewriter. There were advantages and disadvantages to the switch. It was not for everyone, not by a long shot. "In the late 1970s, you could replace your typewriter with these babies... if you were brave and could spare a monthly salary's worth of $$ (source: oldcomputers.arcula.co.uk)." Fast-forward a decade, and market transition had taken place. The PC+printer combo now *was* for everyone, and typewriters were rapidly relegated to small niches. EVs are right now somewhere around the late 1970s. The product already has appeal even for the pragmatic mainstream household - but perhaps not enough yet. Besides, production capacity is still barely a few percent of the market, and model variety is rather narrow. Finally, unlike the typewriter example, EVs are facing a coalition of monstrous lobbies, spearheaded by Big Oil, who will stop at nothing in the attempt to quash them before they achieve market transition. But EV *is* a better product than ICE on nearly every count. To reach market transition, makers only need to improve those remaining key aspects that are still lacking, and consumers need to provide enough demand to fund the production ramp-up. That's the main game in town right now. Not coincidentally, it is precisely the numbers game played out in insideevs.com's monthly scorecard. True, there are other use cases for oil besides ground travel (air travel is probably the toughest nut to crack). But once the ground-transport default becomes non-fossil, "Keep That Oil In The Ground" will be a rather viable possibility. It won't be as easy and quick as the typewriter-PC transition, but from a global-warming perspective the attempt is well worth it. Ok, I think I'm starting to repeat myself. Thanks to all those who tuned in to one or more of the posts, or engaged (respectfully! cordially!) in the discussions.